DESPITE being away from the theatre hubs of the metros, Pondicherry-based Veenapani Chawla doesna��t take long to be back in the spotlight. Her latest book, The Theatre of Veenapani Chawla: Theory, Practice, and Performance, launched last week in the presence of British theatre director Tim Supple. A collection of papers, interviews, reviews, performance texts and articles, it celebrates one of the pioneers of experimental theatre in contemporary India.A� Chawla, 67, has long been engaged in creating a unique form of performance methodology. A self-taught artiste, she has evolved a new language of theatrical practice that claims to fuse traditional and modern aspects of life and theatre. Targeting actors, students of performance studies and theatre enthusiasts, most of the information in the book was collected by the editor Shanta Gokhale who is also a journalist and critic. a�?a�?Shanta has been closely working with me since my Mumbai days. Some interviews were conducted and written solely for the book and some were based on interaction with me and the Adishakti team. It is not just for readers of today, but for theatre practitioners of tomorrow. A section of the book also focusses on the setting up of The Adishakti Laboratory for Theatre Arts and Research,a�? says Chawla. a�?My work includes the facilitation of individual research by artistes in the company. Additionally, I write papers or essays on topics related to my work from time to time,a�? she says. With 15 productions, since 1981, Chawla talks about how Adishakti has evolved over the years.A� a�?The performance company of today has evolved out of work which started in Mumbai. In 1993, I moved to Pondicherry, with Vinay Kumar, an actor with Adishakti. Others joined in the coming years and, in 2000, weA� shifted operations to a campus on the outskirts of Pondicherry. From here we carry out our own work as well as facilitate and host residencies, workshops, festivals, conferences and seminars curated both by ourselves and others,a�? she says. 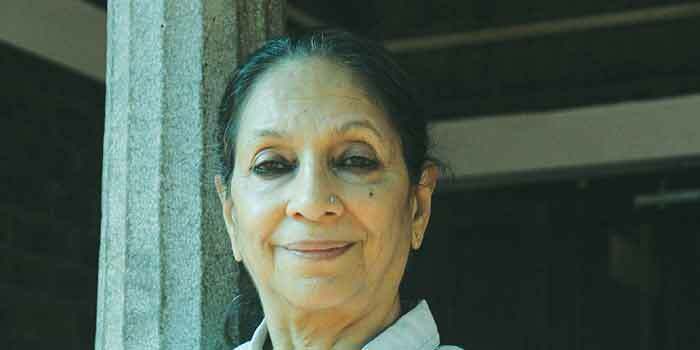 An ardent devotee of The Mother and Sri Aurobindo, Chawla has a list of artistes who have influenced her tremendously in the past. a�?Performance gurus and teachers of forms such as Koodiyattam, Kalaripayattu, Chhau and Drupad, experts and thinkers such as Patsy Rodenburg, Eugenio Barba have always inspired me,a�? she concludes.